Fritjof Capra, PhD, is a founding director of the Center for Ecoliteracy in Berkeley, California. He is a fellow of Schumacher College in England and serves on the council of Earth Charter International. He frequently gives management seminars for top executives. Capra is the author or coauthor of over ten books, including The Tao of Physics and The Web of Life. Ugo Mattei is the Alfred and Hanna Fromm Professor of International and Comparative Law at the University of California Hastings College of the Law and a professor of civil law at the University of Turin, Italy. He is active in the European Commons movement and has written academic articles and media commentary translated into many languages. 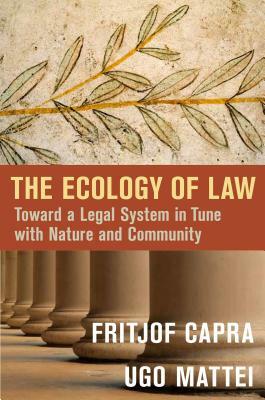 "The Ecology of Law is a fast-paced, historical tour de force, placing the law in the various contexts that have shaped its utilization for good or ill. The contexts discussed by these bold thinkers - science and technology, the natural world, and the commons as a legal institution - provide fresh and functional perspectives on the evolution of law for the just society. For all those readers who think, wonder, and bridle at the law in their lives, this book is your tonic."